Hello everyone & Happy Halloween! This is Brenda Noelke from My PaperCut Creations. 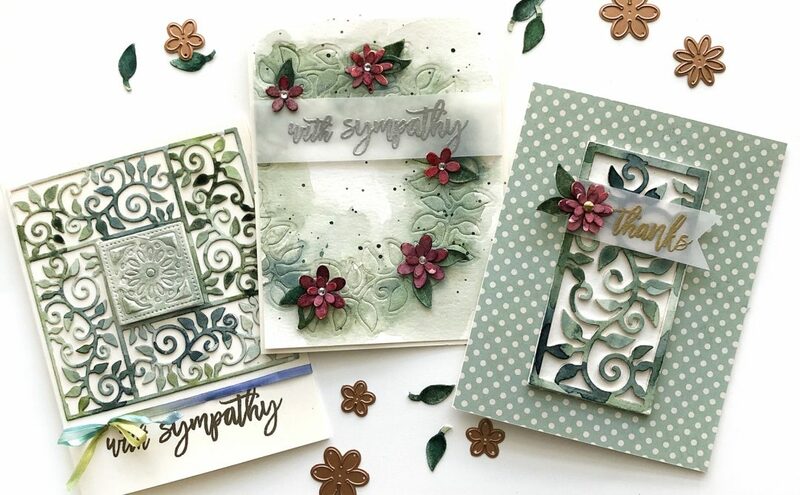 I am super excited to be guest posting for Spellbinders a couple of times over the next week! When I think of Spellbinders, I usually think of dies & die-cutting. Did you know that they also offer clear stamps? 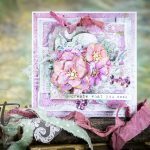 I am using two beautiful new stamp sets today – STP-012 Floral Love and STP-005 Words are Not Enough. 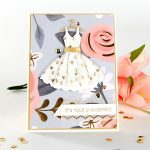 I absolutely love the floral image from the Floral Love set! Images like this are so easy so stamp, since all of the layering is done for you, there is no masking involved! 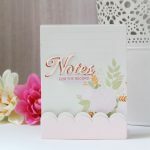 One of my go-to designs for florals is to stamp them in opposite corners, using a smaller portion of the image in one corner. 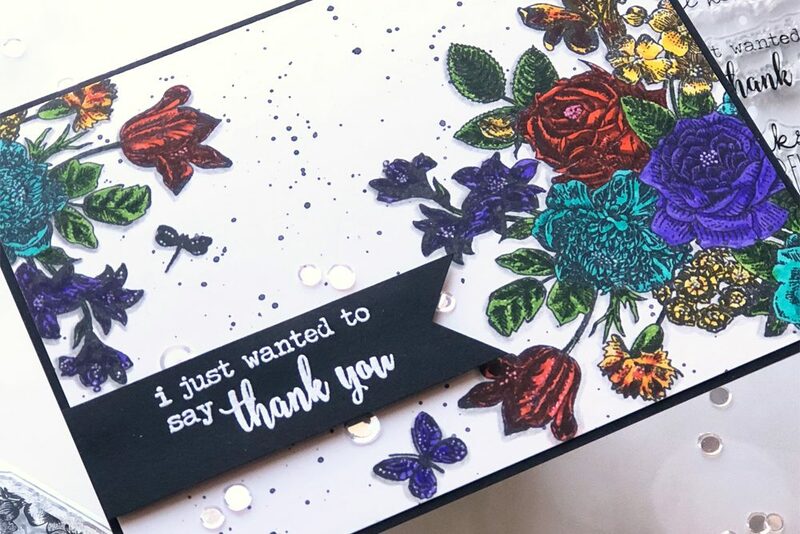 I stamped the florals with waterproof black ink and colored them with watercolor makers. I added some highlights with a white gel pen and a shadow around the bouquets with a gray colored pencil. I also splattered some black watercolor paint across the panel for added interest. The panel was trimmed slightly and adhered to an A2 size piece of black cardstock, before adhering to a white A2 size cardbase. This Words are Not Enough sentiment set is really fantastic! 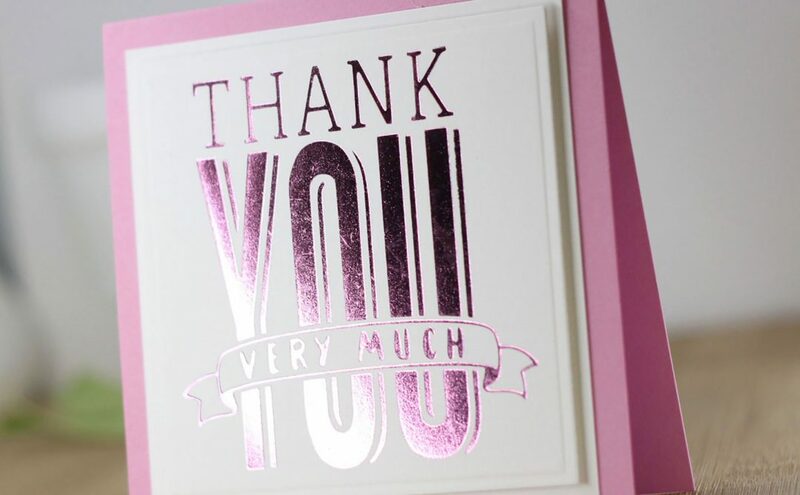 It has so many different ways to express your gratitude. I heat embossed the sentiment onto black cardstock and trimmed it into a banner, then adhered it with foam adhesive. 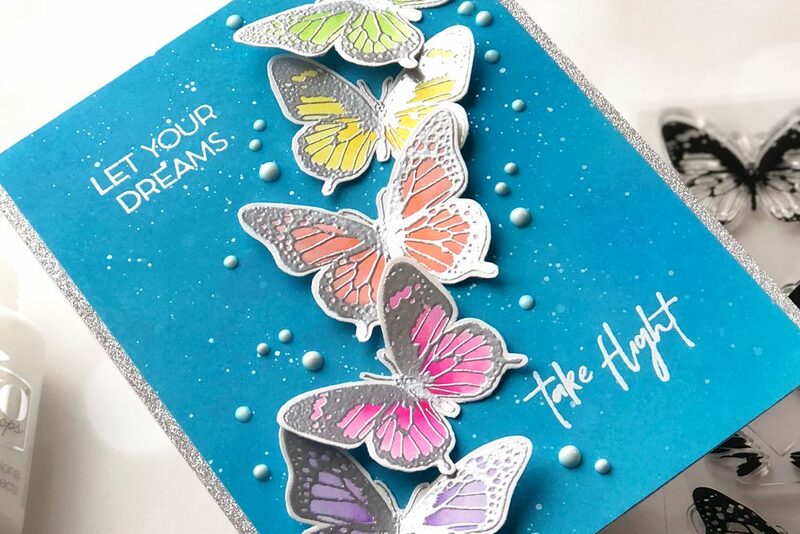 A sprinkling of confetti finished off the card nicely. Thanks so much for joining me today! I look forward to sharing more projects with you!